This awesome new gacha set is from 22769 and is called The Freight Car. It is a HUGE set and I know you can't fit it all inside (I tried)! But that doesn't matter because this build is all about indoor-outdoor flow. That is, the inside flows to the outside! It comes with all you can see as well as a bed, bedside cabinet, comfy chairs, a curtain and some fab knick knacks. 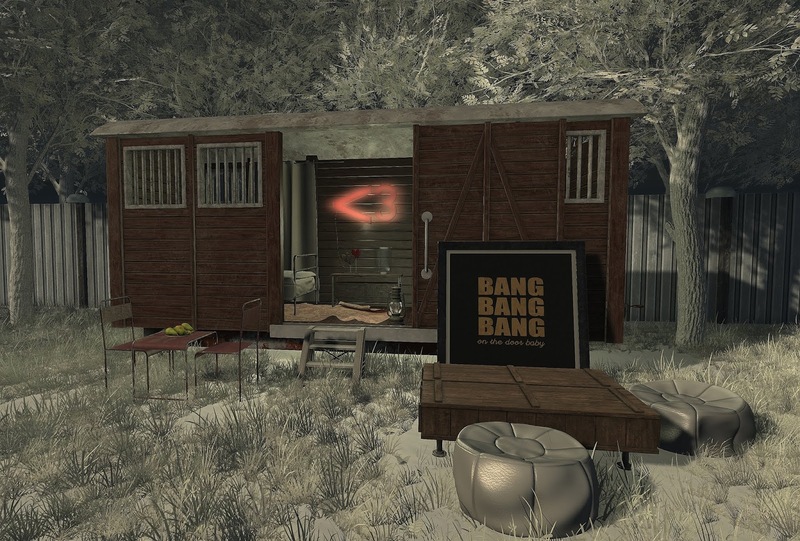 Great set to collect as all the items work with the freight car but would also work in your home as well. You will find this set at The Gacha Garden. The trees surrounding the scene are from Little Branch and are the White Ash Tree. Tomorrow you will see these trees in spring mode, but for today they are all wintered up.